The Smart Home segment for connected Security devices targets the need for security at home. This includes the prevention/detection of burglaries, the quick notification about hazards such as fire or water leakage, emergency calls for the elderly and access control. The worldwide revenue of US$10.54 billion in 2018 is expected to increase to US$27.22 billion by 2023. 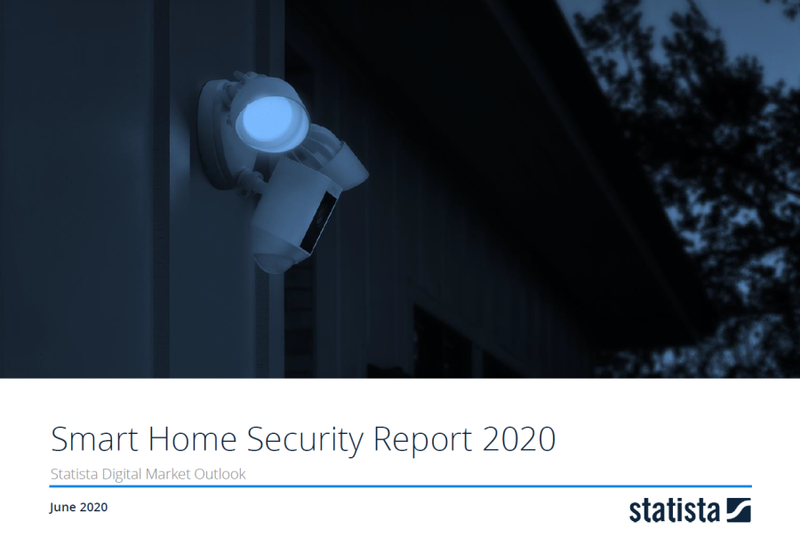 The report covers the Smart Home segment Security which includes the sale of devices and services for networked access control and management for buildings and premises. This includes surveillance products (e.g. security cameras and related data storage and transmission services, motion sensors, programmable and remote control door locks) as well as equipment for risk monitoring (connected smoke detectors and humidity sensors).Remote surveillance and emergency services from specialized security firms which are not related to smart home are not included.